*Any and all offers are requested by noon on Sunday, 4/14* Move-in ready, end-unit affording plenty of natural light in sought-after Belmont Greene. 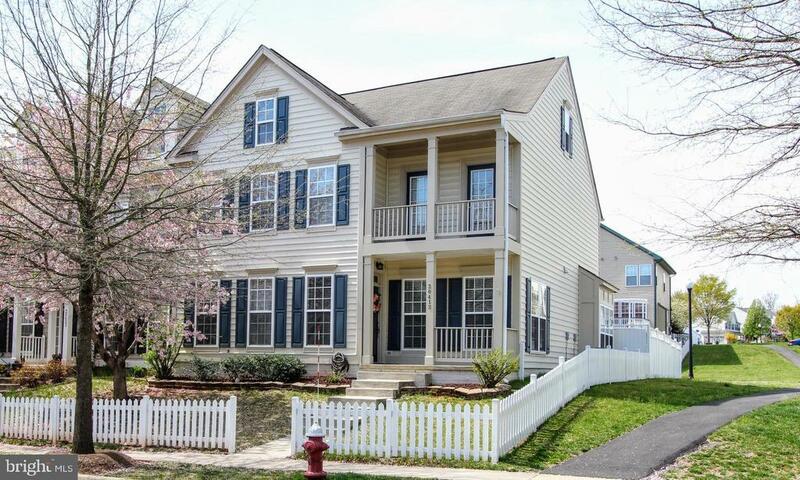 Spacious, open floor plan on 3 levels above ground w/hardwood floors. Gourmet kitchen w/island, ample cabinetry and counters, SS appliances w/new dishwasher. Family room w/gas fp & built-ins and entrance to backyard patio w/built-in fire pit. Formal dining room and living room w/beautiful trim. Large owners suite w/soaking tub, walk-in shower and WIC. Three additional bedrooms on 2nd level share the hall bath. Huge loft level, currently an exercise/game room, plus additional bonus room w/skylight and en suite bath. Laundry on bedroom level w/new dryer! Fully fenced yard w/privacy fence in back. Upper HVAC 2016, main furnace 2018, main A/C unit 2016. Convenient to dining, shopping, parks, the W&OD, award-winning schools, and so much more. Dont miss seeing this incredible property! Directions: From Rte. 28, take Waxpool Rd. Drive approx 4 mi., turn right onto Claiborne Pkwy. Turn left at the 2nd traffic light on Portsmouth Blvd. Make 1st left onto Middlebury St. Turn right onto Bowfonds St. 20413 is on the left. Exclusions: Window curtains do not convey.